When you or someone you know earns one, it needs to be displayed with PRIDE! We’re very proud of the award framing we do at The Creative Play. It’s something to be proud of, and should be done professionally to keep for many years.We can design any AWARD, CERTIFICATE, MEDAL (military or event) OR TROPHY display you desire. We specialize in wood frames, plexiglas or the COLOR PLAK process. This is our latest flag display, in Honor of Grant McKee and all the firemen who lost their lives in Arizona. See our latest plexiglas-designed flag display. This displays the flag on a wooden flag pole in a 8`H X 16 ½”W X 8 ½D polished plexiglass case. THE FLAG is stitched to a white suede background to hang 1” from the bottom of the case. (meets all indoor flag edict) We then can add photos, metals and personal effects into the display. It keeps the flag and items dust free, and you don’t have to take up the entire wall to display your special flag. All you have to do is supply the spotlight to achieve the true flag etiquette. We have done many MILITARY displays through the years.We take pride in doing them for those who serve. 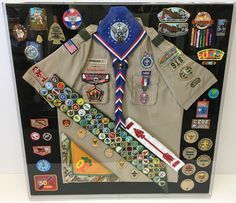 Through the 21 years in business we’ve done work for C.M.PD, N.B.PD, H.B.PD, C.H.P.,C.M.F.D., N.B.F.D.,BOY SCOUTS OF AMERICA, THE US OLYMPIC COMMITTEE., UCLA, USC, CAL STATE LONG BEACH, CAL STATE FULLERTON, UC IRVINE, UCSD, VANGUARD, OCC, GOLDEN WEST, IDI, NEWPORT HARBOR, CORONA DEL MAR, EDISON, ESTANCIA, COSTA MESA, SAGE HILL, Just to name a few. As you can see we have the experience to do it right! Bring us your special item so you can hang it with pride. View our Pinterest to see our latest work!